Cross between English Sunshine and a native North American male. A pungent, wild American aroma with citrus (grapefruit) flavors. Released by the USDA in 1974 to meet the need for a higher alpha-acid producing hop. 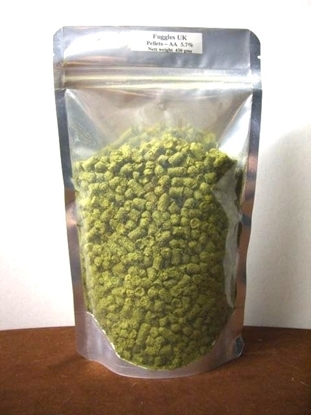 This hop is a new experimental variety grown and developed by Jackson Hops in Idaho. 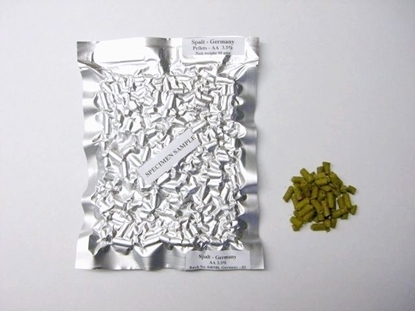 Very bright complex and floral hop in the Cascade – Amarillo spectrum. Has citrus notes but more focused in the floral spectrum. 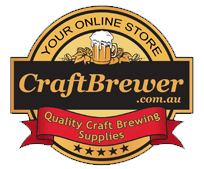 Suitable for aroma, late, dry hopping, and signature styles include APA, IPA. 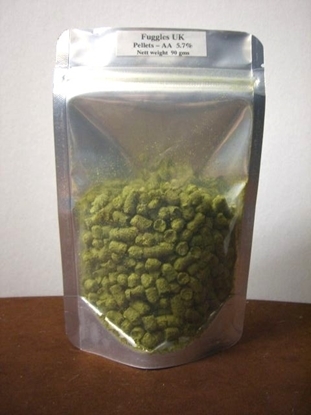 This hop is a new experimental variety grown and developed by Jackson Hops in Idaho. A big IPA hop that is very dank, pungent, and very bold, in the Columbus spectrum. This hop also has an intense fruitiness. 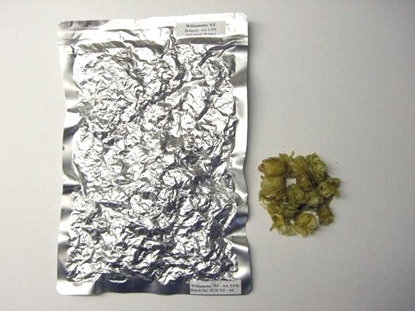 Dual purpose hops suitable for bittering and aroma, late and dry hopping. qualities, imparting distinct tropical, citrus, floral, lemon & grapefruit tones. Galaxy has a striking flavour, described as a combination of citrus & passionfruit. With the added bonus of high AA this could become a craft brewers favourite..
American Dwarf Hop Association (ADHA) Experimental 484. First crossed in 2004, ADHA-484 has quickly proven to be a versatile hop that plays well with a variety of styles from Pale Ales to Saisons. Woody aroma of cedar with bubblegum and spice. Lovely hop for English ales. Challenger hops are spicy, strawlike, with marmelade undertones. \r\ntype character.Grapefruit - Bergamot - Lemon - Lime. Columbus are a highly aromatic hop. Pungent with plenty of citrus. The No1 flavour/aroma hop in English bitters. Floral & fragrant. 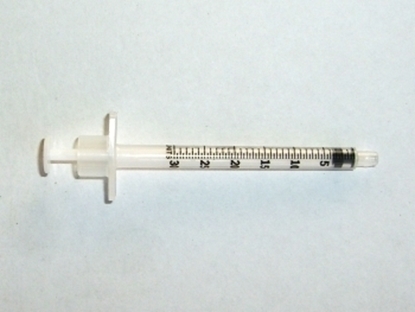 Contains the components of hop oil that contribute a fruit/pear like character. \r\nPineapple - Pear Skin - Sweet - Fruity. 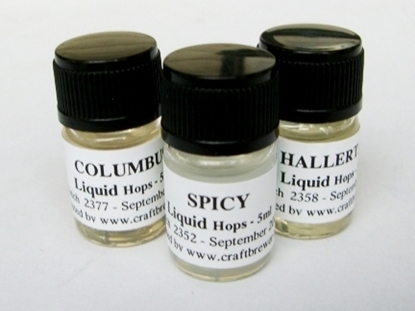 Contains the components of hop oil that add a fragrant, fresh note to the beer. \r\nGeranium - Lavander - Neroll - Rose. The classic German noble aroma hop associated with Bavarian style lager beers. Contains the compenents of hop oil that contribute a "green", fresh-hop character. \r\nFresh Hop - Grassy - Green. Floral & slightly spicy. Great bittering hop for pale ales with nice aroma. POR is much maligned, but when fresh it has a real spicy, fruitiness & is a great hop. Contains the components from hop oil that contribute to body & mouthfeel. \r\nSandalwood - Astringent - Synergist - Oakmoss. Contains the components from hop oil that contribute a fresh woody character. \r\nResinous - Woody - Earthy. have been described as “Sauvignon Blanc, gooseberry, distinct, clean and fresh. along with a woody character. Used successfully in many beers worldwide. herbal infusion of fresh citrus and crushed black pepper. Its powerful grapefruit “citrus” characters are literally breathtaking. If you want to say “hops” in your beer, D Saaz says it all. Another exciting new Aussie hop. Summer is characterised by balanced, sweet & fruity hop aromas, showing passionfruit,citrus & melon. Similar to its Czech Saaz parent, but without the spicy characteristic. This hop has a reasonable weight of oil which is further enhanced as a ratio to alpha based on this variety being selected as a low alpha type to showcase its aroma characters which are startlingly of citrus made up of mandarin, lemon and lime zest..really intense. Low Coh adds to the overall quality of the finish which is soft. Quality bitterness & aroma abound with fruity tangelo citrus, pine and mango character. With an outstanding oils profile, high alpha, low cohumlone and excellent agronomic performance make Waimea an exciting new world hop. 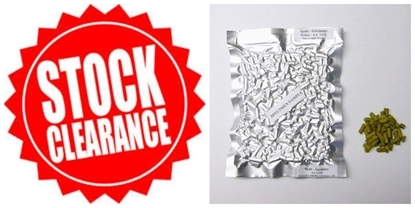 mix of floral & slightly citrus character, with superb aroma quality. NZ grown, American version of Fuggles. A quality aroma hop. 10 or more for just 0.50c each. Price automatically updated when selected. They hold up to 2 x 90gm of hop pellets each. They hold up to 450gm of hop pellets each.